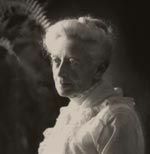 In addition to founding The Bishop's School and Scripps College, Ellen Browning Scripps (1836-1932) generously supported prominent institutions all across Southern California. Investments in the Scripps’ chain of newspapers provided her with an independent fortune when she moved to La Jolla in 1896. She felt that The Bishop’s School was “destined to be a grand institution” and therefore worth the investment. She wrote, “I feel more than assured that I have embarked in an undertaking that is almost limitless in its scope and power for good.” In accordance with her wishes, no public record was kept of her gifts. The remainder of her estate was used to establish the Ellen Browning Scripps Foundation. As the first Bishop of the new Episcopal Diocese in Los Angeles, Bishop Joseph Horsfall Johnson (1847-1921) spent his years making the Episcopal Church a stronger presence in the Southern California region. 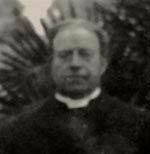 Bishop Johnson had a great love of children and he believed fervently in the idea of educating their minds and spirits. In founding Bishop's, he saw one of his fondest dreams come to fruition. 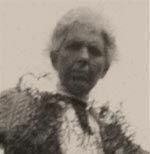 Eliza Virginia Scripps (1852-1921) was the spirited, red-haired half-sister of Ellen Browning Scripps. The more outspoken of the Scripps sisters, Miss Virginia was an independent-minded philanthropist, considered an eccentric by most. In 1910 the Bishop's Board of Trustees put her in charge of the grounds, which for years had no trees because she disliked the mess they made. She was an amateur naturalist, read broadly in science, and an ardent Episcopalian and helped Bishop Johnson establish St. James by-the-Sea Church.